With the change of time, human choice and demands also changes. As a result garment buyers are searching new garments design and fashion to fulfill the customers demand. In that point of view garment manufacturers are adapting new technology and processes to fulfill the requirement of garment buyers. Garments washing is one of those process which can be developed by using new machines and various types of chemicals. Starch materials present in the new fabrics of the new garments, which can be removed by garments washing. As a result its feels soft during using the garments. After applying garments washing, garments soft feeling can be increased more. Spots and dirt’s are removed from the garments by applying garments washing. Unwashed garments contain too much shrinkage, but there’s no possibility of further shrinkage after garments washing. 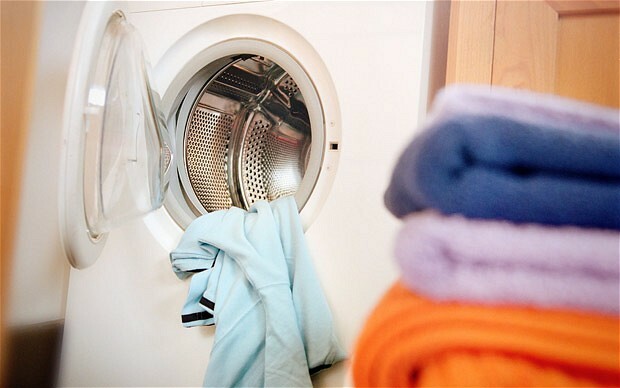 Washed garments could be wearing directly after purchasing from the store. Fading effect is produced in the garments by applying garment washing which enhance the beauty of garments. Fading effect can be produced in the specific area of the garments as per specific design. Different outlook of garments could be produced in the garments by applying different garments washing techniques. Similar outlook can be produced in the garments by applying different garment washing techniques. Initial investment cost to set-up a garment washing plant is comparatively lower which helps to fulfill the requirements of buyer correctly. Mention the objects of garment washing. Mention the purpose of garment washing. Discuss various important factors of garment washing. Discuss about the various key factors of garment washing. Category: Garments Wash Tags: advantage of garments washing, importance of garments washing, key points of garments washing, significance of garments washing, why garments washing is so cruicial?